Picking the right travel backpack is an important part in planning your trip. Too big and you’ll have too much extra weight to carry around. Or you might not get your bag on an airplane! Too small and you’ll never fit all your stuff in the thing! Pick the wrong material and your stuff will be soaked in the rain. There are so many backpacks out there that it can be very confusing knowing how to pick the right one. There’s actually a science to knowing what the best travel backpack is – and how to pick it! When I first started traveling, I spent weeks picking out my first travel backpack. I tried on dozens, did hours of online research, and packed many to get a feel for what they would be like. It was a time-consuming process. That research paid off though as my first backpack lasted me 8 years. In fact, the only reason I bought a new backpack was because an airline lost that bag. Otherwise, that backpack would still be around today. There are many travel backpacks in the world – and even more places where you can purchase one. How do you pick the best backpack for traveling? Today, I’m going to teach you how. So in order to save you hours upon hours of research, I’m going to lay out all the good qualities a backpack should have, the best backpack brands, and where you can buy them so can save yourself hours of time and simply purchase one knowing it’s amazing and going to last forever. The Best Travel Backpacks: Does size matter? Travel Backpacks: How much should one cost? Water-resistant material – While your pack does not need to be 100% waterproof (that is unless you are going on some long multi-day hike), make sure your bag is made out of a semi-waterproof material so everything doesn’t get wet in a drizzle (most travel backpacks come with tarps you can put over them in case of a severe downpour). Moreover, make sure the material won’t stay wet long and thereby get musty. I look for material that is thick but lightweight. Treated nylon fiber is really good. You should be able to pour a cup of water over it without the insides getting wet. I’m not traveling a lot during torrential downpours or monsoons, but I have been caught in small rainstorms before, and because my backpack is made out of a good material, I’ve never opened my bag to find wet clothes. When purchasing locks, make sure the package says they are TSA-friendly locks — these locks have a special release valve that allows the TSA to open the lock without breaking it so they can check your bag. You can purchase TSA locks at any large retail store, such as Target or Walmart. If your pack doesn’t have two zippers, you can always get Pacsafe (www.pacsafe.com), which wraps a lockable metal mesh around your whole bag and can be tied to a large object. It means that not only is no one breaking into your stuff, no one is walking away with it either. Pacsafe is a good form of protection for your bag, especially if you are going to be somewhere where your bag will be unattended for a long time. One thing to remember about Pacsafe is that this metal mesh also adds a lot of weight to your bag and it can be burdensome to carry around. Most people I know who use Pacsafe are photographers who carry a lot of expensive equipment around. Multiple compartments – A good bag must to have multiple compartments. This way, you can break up your belongings into smaller sections so it’s easier to access and find the stuff you need. For example, my clothes are in the main compartment of my bag, my umbrella and flips-flops in the top, and my shoes in the separated side compartment (that way they don’t get everything dirty). It saves having to dig around your bag. 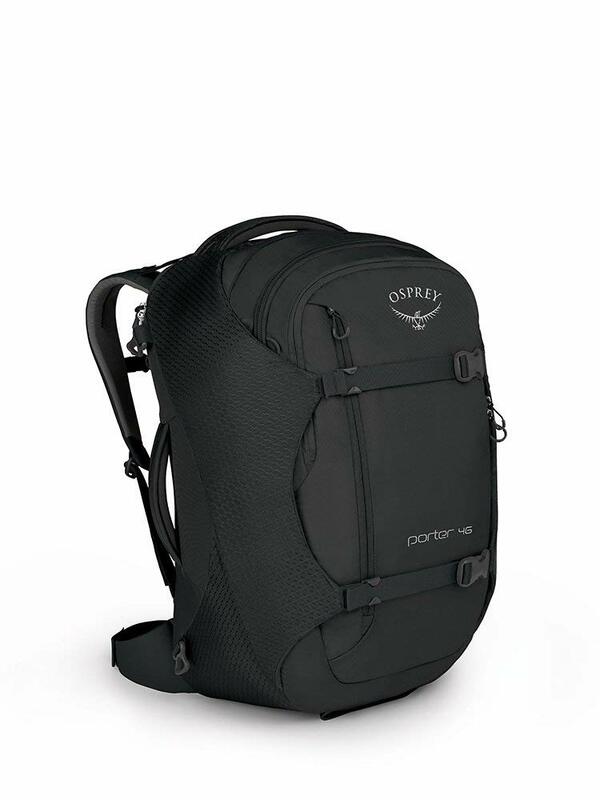 Internal frame – The majority of backpacks today are internal-frame packs, meaning the support rods and frame are built into the backpack and hidden from view. However, there some are still external-frame backpacks, where the rods are separate from the actual pack and stick out (think of those backpacks you see in old hiking movies or movies about people backpacking Europe in the 1970s — a big, clunky metal frame). Don’t get one of those. Make sure you buy a backpack with an internal frame. It not only looks better but the rods won’t get caught on anything and your bag will also be slimmer, making moving around easier. 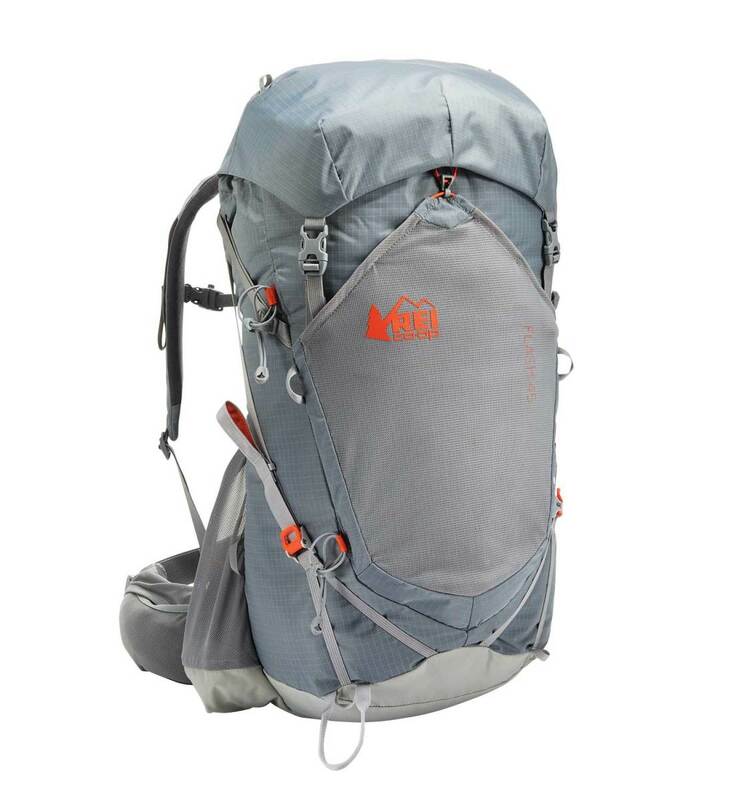 Additionally, internal-frame packs tend to be lighter as the frame is composed of a carbon fiber or tough plastic, which makes them easier on your back as well as more durable. Padded hip belt – Most of the weight you will be carrying around will be pushing down on your hips, so you’ll want a padded belt to make supporting the weight more comfortable. The belt will help provide support and distribute the load more evenly on your back, causing less strain. The hip belt should also be adjustable so you can tighten it for extra support. Contoured/padded back – A lumbar-shaped pack makes carrying it more comfortable, as it helps distributes weight more evenly — the same principle applies as is used in contoured chairs. It allows for a more natural arch ensure no back pain. Moreover, this type of pack creates a small space between your back and the bag, allowing air to move through and help keep you slightly cool (lugging your bag around can build up a sweat!). Front loading – A front loading backpack is one that allows you to zip open the face from the side and access all your stuff. A top loading bag only allows you to access your stuff from a hole in the top. This makes getting your stuff (especially if it is at the bottom of your bag) really difficult. Always get a backpack that it “front loading” so you have easy access to all your gear. One of my most frequently asked questions about backpacks is about size. Everyone wants to know what the perfect size is. No one backpack size is better than another. What matters is that your backpack should be proportional to your body — that might mean a backpack that is 40 liters or 60 liters. If your backpack is too big or too small, the weight won’t be balanced properly and will cause back pain or maybe even make you topple over. You don’t want a skyscraper rising up from your back, but you also don’t want a pack that is clearly too small and overflowing with your stuff. You want a backpack that is big enough to hold just a bit more than the stuff you are bringing and not more than that. If a backpack fits everything you want, has a bit of extra room, and feels comfortable, then you have found the perfect backpack size. Manufacturers also have suggested torso and waist sizes for each model they produce, but I’ve found that the best way to know if a backpack feels right is to simply try it on. When you are at the store (and any good camping/outdoors store will do this), they should be able to stuff your backpack with the equivalent of 30 pounds (15 kilograms) so you can see how that much weight feels on your back. It’s important to remember that the bigger your backpack is, the less likely it is that you’ll be able to carry it on the airplane. Additionally, since you can no longer bring liquids in containers larger than three ounces on airplanes if your bag has soap and liquids in it, you’ll be forced to check the bag. Most baggage sizes are 45 linear inches (22 x 14 x 9 in) or 115 centimeters (56 x 36 x 23 cm) including handles and wheels so if you get a backpack with those dimensions, you’ll be able to carry on. You won’t face any baggage fees from the major airlines for checking your bag when flying internationally. Budget airlines, on the other hand, charge a fee for checking a bag based on weight, so the more your bag weighs, the more you will have to pay to check it at the gate. Even though my bag fits in the overhead bin, I often have to check it when flying a budget airline. I have a confession: I hate suitcases for long trips. If you’re traveling around the world, your luggage is going to get thrown about and piled high on buses in random countries. It will get used and abused and it’s simply hard to walk up hills and stairs with your suitcase bumping everywhere. Try carrying a suitcase up five flights of stairs in a tiny place in Italy! It’s a pain! Suitcases are great for weekends away or if you’ll be staying in one place for a long time. I always use a carry on suitcase on my short trips. But, if you are moving around a lot and backpacking around the world, it is far better to have a proper backpack. They are simply more versatile, easier to carry up flights of stairs, pack into tight places, and overall, they just make life simpler. I don’t need to pick them up when getting on the escalator. Or drag them up a flight of stairs or across cobblestone streets. Backpacks just make more sense, which is why this page is devoted to them and not suitcases. 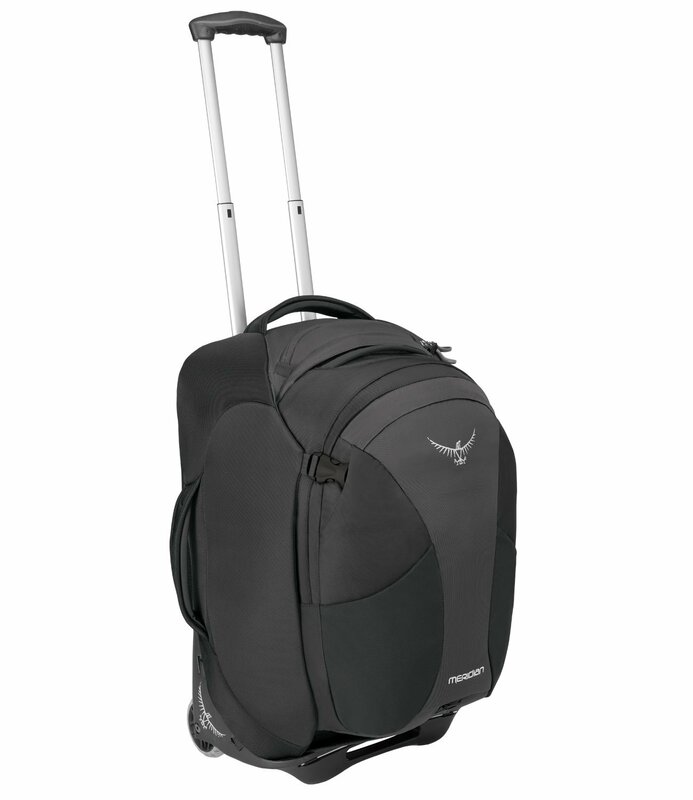 If you have back problems and can’t use a backpack, a smaller suitcase with wheels and a long handle can be a good substitute. 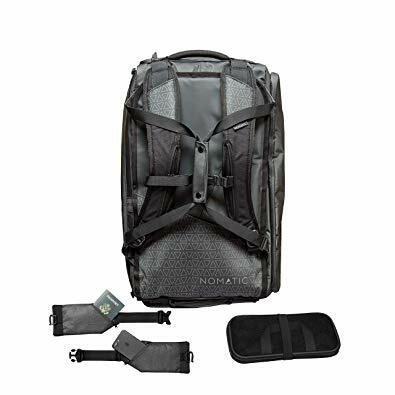 It will still be difficult carrying it up and down stairs, and annoying as you roll it across uneven sidewalks, but there are many companies (those listed at the end of this section) that make fairly good and lightweight travel cases. Backpack prices depend a lot on size, fabric, and brand. Most backpacks cost between $99–300 USD. The medium-sized store brands generally cost around $199 USD. Store brands are cheaper than big-name brands like North Face, Osprey, and Gregory. I don’t believe that any backpack is worth $300 USD, no matter how nice it is. These expensive backpacks tend to be large and have more bells and whistles, special padding, and material than you really need as a traveler. 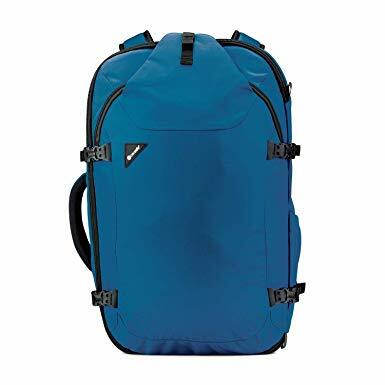 Additionally, you’ll find that most travel backpacks are hiking backpacks, meant for camping and multi-day treks in the woods. 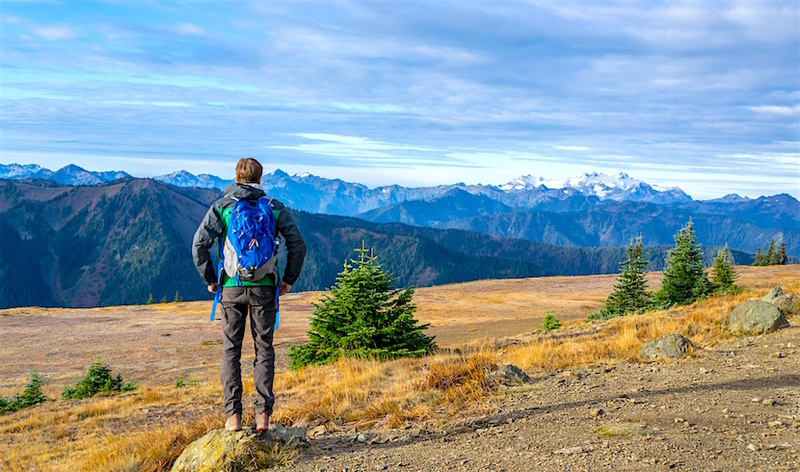 Buying a backpack that was meant to be used in the Rockies instead of the streets of New Zealand doesn’t matter, though — backpacks are pretty interchangeable these days, and getting a backpack meant for the outdoors simply means you’ll have a stronger and more durable pack. You should spend $100–250 for a backpack. The custom-fit harness and mesh back panel on this backpack will keep the weight off your hips and back. 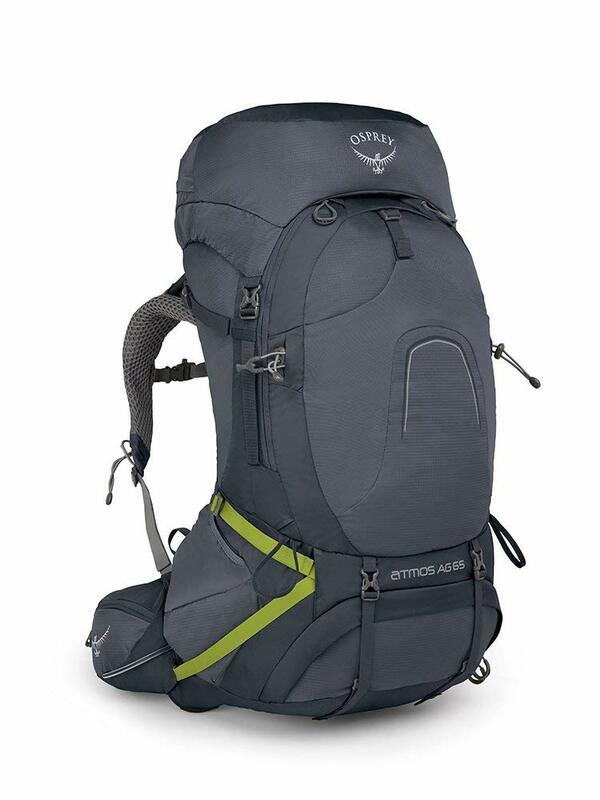 Not a trekking pack, but a lightweight travel pack that can be carried as a duffel bag, messenger bag, or backpack. The front panel opens making it easier to use than digging around in a tall pack. The Fairview is a great carry-on option, and works exactly like the men’s Farpoint but fitted for a woman’s physique. It be worn as a backpack, messenger bag, or a duffel. This one is built specifically for women and for keeping the weight off the hips, and has breathable mesh paneling ideal for hikers. It’s extremely customizable. 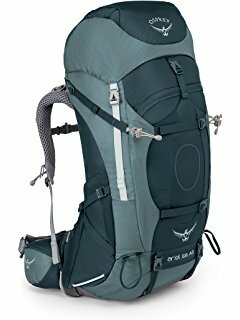 This is a heavy-duty pack designed to evenly distribute weight, and it comes with 3D suspension so that you have better upper body mobility. The wheels give this convertible luggage a unique advantage. You can pull it along dusty roads or smooth sidewalks, or simply pick it up and turn it into a backpack. Designed for both quick trips and longer journeys, the Porter looks and feels a lot like the Farpoint thanks to its large front panel opening. 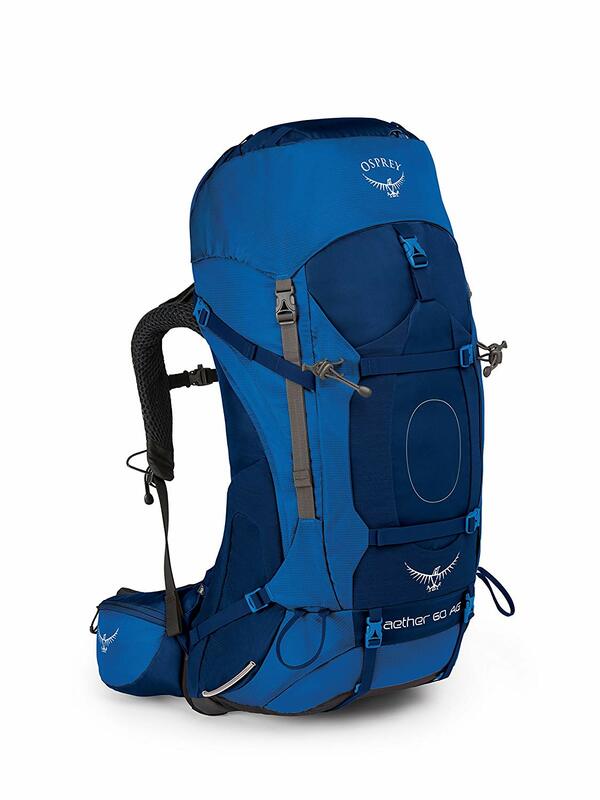 This is one of Osprey’s best-selling packs – it also gives you the option to add a daypack. A water resistant bag with a ton of nifty extra features. It was designed by digital nomads for digital nomads, so it’s super handy for anyone who’s location independent! Pacsafe’s bags are all about their extra security features, like exomesh slash guard fabric to protect against “slash-and-run” thefts. It’s a good option if you carry expensive gear. The back paneling on this pack is breathable, and the handy water bottle pocket is located near the front of the hip belt so you never have to take off your backpack to get a drink. The design is great! 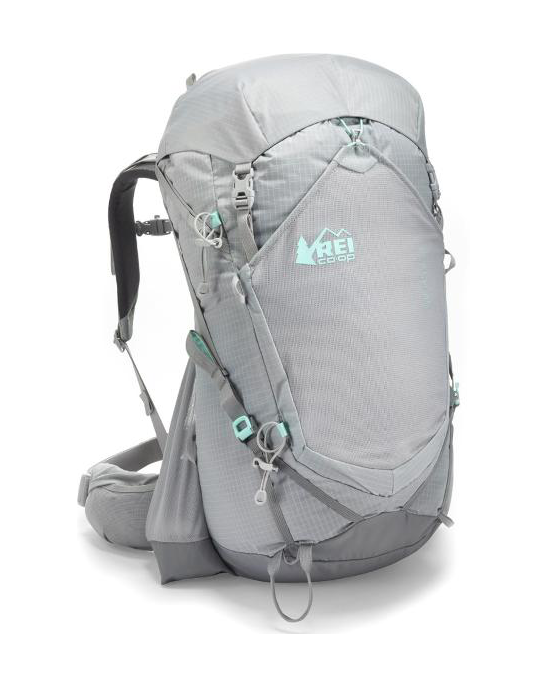 This is the women’s version of the REI Flash 45 Pack for men, but fitted specifically for a woman’s frame. The low weight of the bag itself plus the excellent hip support makes for comfortable usage, even for long distances. 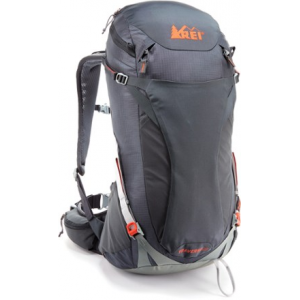 REI’s Traverse pack keeps the weight of your contents well balanced, and comes with a ventilated mesh back panel. The top lid turns into a small day pack or sling! The 65 pack has all the bells and whistles of the men’s 70 Traverse Pack, but with slightly less space. There are lash points at the front of the bag to let you add extra gear, though. REI – This is my favorite outdoor store. They have amazing service, knowledgable staff, cool events, and the best refund policy ever. This is a place that you cares. EMS – Another great outdoor store with a wide selection of bags, great places, and friendly staff. 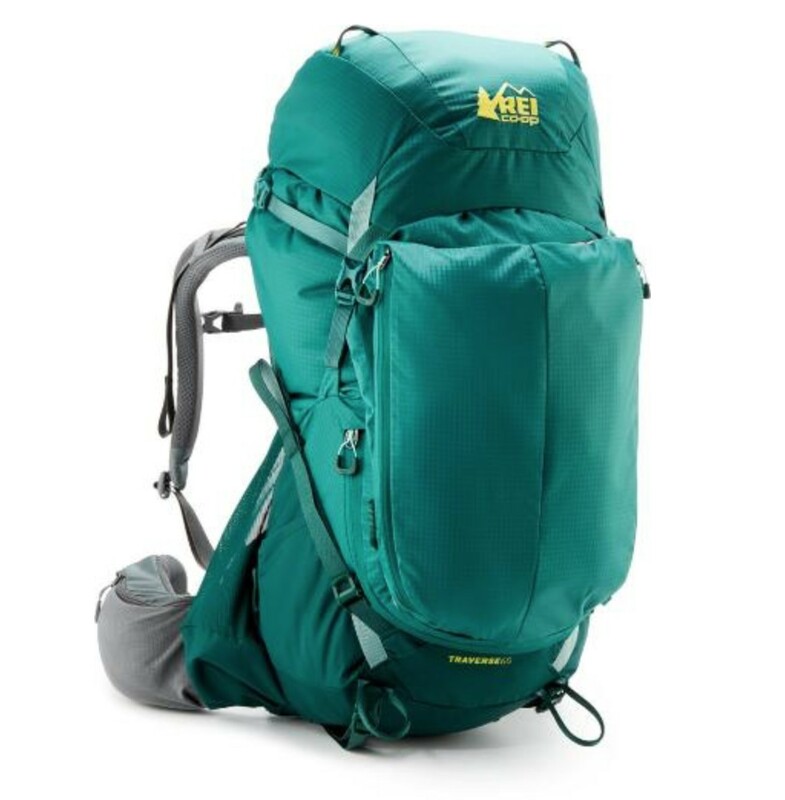 MEC (Canada) – The REI of Canada is the best place to buy a backpack if you’re Canadian. 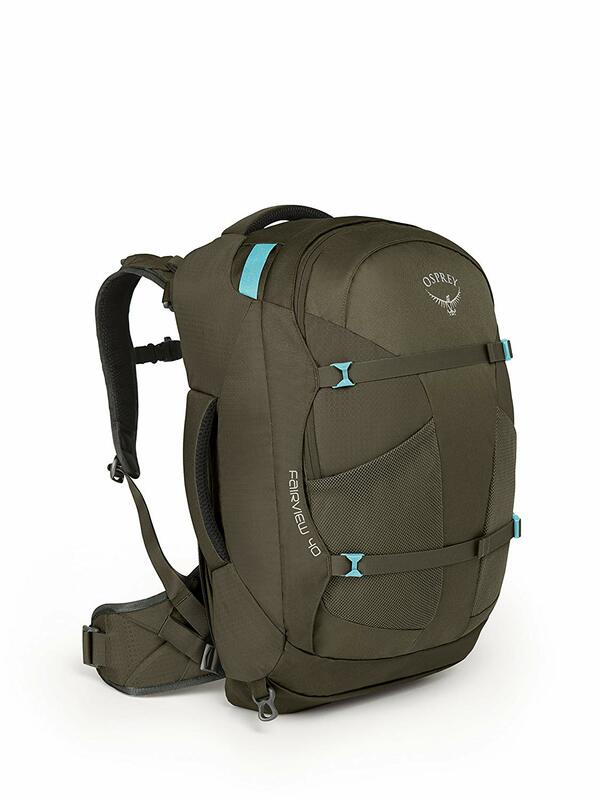 GO Outdoors (UK)– The REI of the UK is the best place to buy a backpack if you’re a UK resident. I personally use an REI backpack. REI is an American company that sells a wide variety of sporting, outdoors, and travel gear. I’ve had my backpack since 2004 and it works, looks, and feels just as it did the day I bought it. You know those advertisements where they try to destroy products in order to prove how good they are? Well, my life is that ad. I have put this backpack through the ringer. It’s been crushed, thrown around, dropped, squeezed into tiny places, dragged, and kicked around. The quality of their products has made me an REI customer for life. I buy all my travel gear there — from daypacks to bug spray to tents to sleeping bags. Additionally, I love REI’s one-year warranty and return policy. I know if something goes wrong, I can take the gear back — even after I’ve used it! Buying a backpack for your trip is going to be a time consuming process. You’ll need to try a lot on. Youcan get a bunch sent to your house, load it with all your gear and try it on to see what one feels right. That way you will know exactly how the bag fits when you have your gear in it, not padding in the store. Return the others. However, this process doesn’t need to be too painful if you follow the rules laid out in this post. If you do, you’ll find the perfect travel backpack for your trip in no time at all! And it will be a backpack that will last you years and years and years! P.S. If you found this article helpful, consider using this link to purchase your bag (whatever brand you go with). The small commission helps me keep the website running, community supported, and advertiser free.